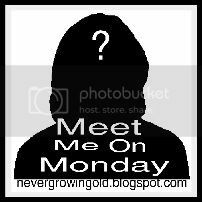 Welcome to the 50th edition of "Meet Me On Monday!" Blogging is a funny thing...we tell our most intimate thoughts for all to read and yet most of the time I find myself sitting and wondering, "who is this person!?" I know them...but yet I don't know them! I want to know who the person is behind all those words so I thought of a great way for all of us to "meet" each other! If I had to pick one favorite food, I would say Pizza!! 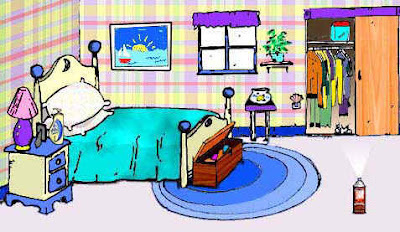 Oh boy...my bedroom is in need of some updating! The carpet is green, the curtains are maroon and the comforter is a mixture of browns! I am putting that on the list of "things to do!" No I do not. I probably should though! It is definitely half empty! Half full just sounds backwards! 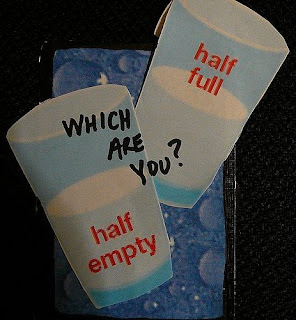 Apparently I'm a pessimist for thinking that it is half empty instead of half full! That is a tough one! Although I do love both, if it came down to picking one or the other I would go for the chocolate! What girl doesn't want her chocolate!! Thanks for the inspiration! Looking forward to reading everyone else's! Oh and I LOVE pizza too! 2. What color scheme is your bedroom? Don't really have one cause we rent. 3. 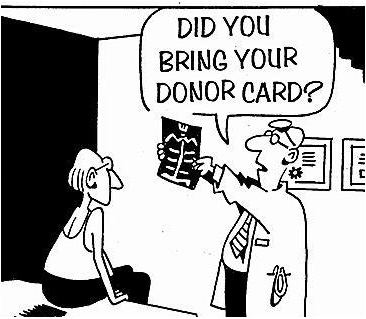 Do you carry a donor card? We don't really have them here in Australia but we can register which I have done. 4. In your opinion, is the glass half empty or half full? Half full. 5. Vanilla or Chocolate? Vanilla. Mad craving them now at 5:30 in the morning. Good morning, Java, wherever you are....I love Pizza too. Thought provoking very early on Monday morning. I may have to start doing this on Sunday nights! I love pizza too and prefer chocolate over vanilla. 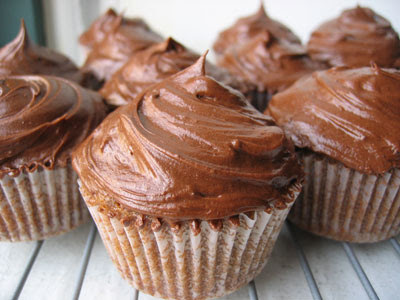 Oh, that pizza pic (and the cupcakes, for that matter) have me totally drooling all over my keyboard. Can't wait until my little guy takes his nap - I'm getting into all of the goodies! Hello, friend! I have chosen you to receive the Sunshine Award. Stop by my blog and see how to collect you amazing award. 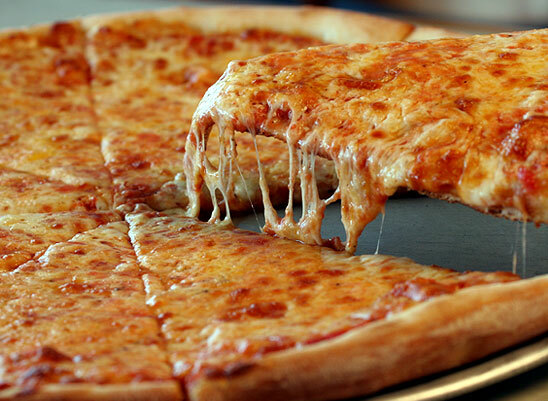 I love Pizza and it looks so delicious. Personally I prefér the website address in general. That way I don't have to click on anything if I want to read more! I love chocolate, any kind of seafood is my favorite, I see the glass half full, I don't have a donor card and purple is my favorite color. Thanks for hosting the blog hop. I'm a new follower!